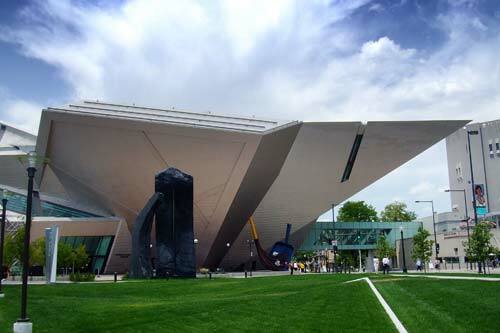 Colorado has quickly become a hotspot for great music. As you travel around the state, you’ll immediately feel the passion that people have for the music industry, both as musicians and fans alike. 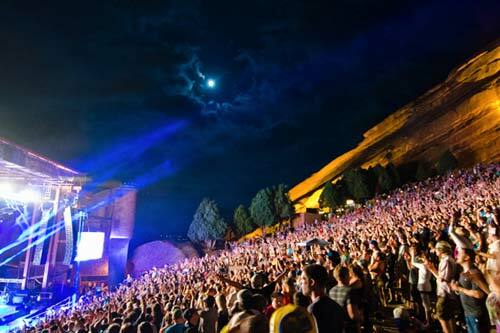 Specifically, the Mile High city is home to numerous top-notch music venues and dance clubs – from large, outdoor theaters like Red Rocks Amphitheater, to small, intimate spots like The Fillmore or Cervantes Masterpiece. Each location offers a distinct experience, so be sure to catch a show at each to choose your favorite. Thankfully, the music scene in Colorado is also diverse. On any given weekend, you’ll find shows featuring rock bands, electronic DJs, jazz musicians, hip-hop artists, orchestras and bluegrass bands. Music paired with cannabis makes for one memorable 4/20 weekend. Be sure to check back frequently as concerts are added! There are many shows taking place during the week of 4/20 and throughout the weekend. We’ve covered a variety of genres in case you’re looking for something specific or want to try something new. Could you be loved? Of course, it’s Bob Marley Day at The Coffee Joint! Listen to the Bob Marley albums in the shop and watch Bob Marley films on the projector in the back. Buy from the dispensary next door and consume for free! Wear your Bob Marley gear in to get 10% off all glass in the shop! AEG Presents is thrilled to announce SNOOP DOGG / ICE CUBE live at Red Rocks Amphitheatre on Thursday, April 18, 2019. AEG Presents is thrilled to announce 311 with METHOD MAN and REDMAN live at Red Rocks Amphitheatre on April 19th, 2019. One of the longest running Grateful Dead tribute bands in the world, Shakedown Street, makes its home in and around the Rocky Mountain region of North America. Spawned from jam sessions at the Ancient Mariner bar in Manitou Springs, Colorado in 1987, Shakedown Street quickly grew in popularity, and garnered a legion of loyal fans who refer to themselves as "Shakeheads". In a few short years, throngs of "Shakeheads" could be found on the highways and byways of the Rocky Mountains, making their way to another Shakedown Street show. As the first state to legalize cannabis, Colorado has a unique history with the marijuana movement. 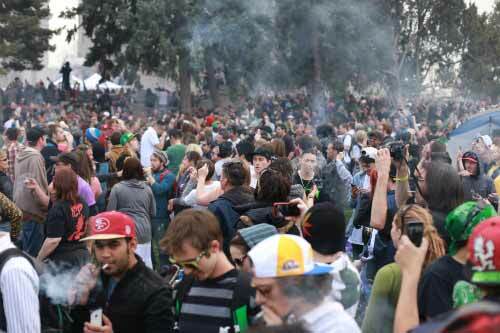 As a result, The Mile High 420 Festival draws advocates from around the world. Re-imagining what the holiday has represented in the past, our goal in 2019 is to continue to fight the stigma while celebrating the booming cannabis industry here in the Mile High city. 420 Shotgun's Circus! Portion of proceeds will be donated to HeroGrown. AEG Presents is thrilled to announce STICK FIGURE with PEPPER, STEEL PULSE, THE MOVEMENT, IYA TERRA, hosted by NICK SWARDSON live at Red Rocks Amphitheatre on Saturday, April 20, 2019. Denver is home to hundreds of awesome dispensaries, making it hard to choose only a few. Click here for a full list of dispensaries in the Mile High. Remember, both tourists and locals are allowed to purchase and possess up to 1oz of marijuana (or its equivalents) at a time. With locations conveniently spread throughout Pueblo and Trinidad, The Spot 420 is Southern Colorado’s top award-winning recreational dispensary chain. 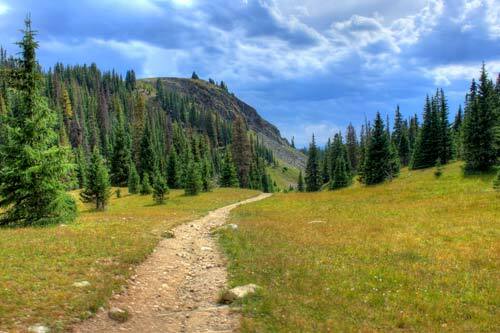 Plus, they offer the biggest selection of cannabis products in all of Southern Colorado. From premium cannabis flower, extracts, edibles, topicals, clones, cartridges, accessories, gear and more, The Spot 420 truly has something for every consumer. The Spot 420 also offers exclusive grow room tours, providing consumers the chance to see the plants up close, meet the grow team and experience a state-of-the art grow facility. Stop by The Spot 420 today to meet their friendly, knowledgeable staff and save big on your favorite products. The Spot 420 is running some great 4/20 deals throughout April at all locations. Visit our Colorado cannabis deals directory to check them out and save big before the big day! If you're a fan of music, then GroundSwell Cannabis Boutique might be the perfect spot for you to conduct your 4/20 shopping. Located on historic Colfax Avenue in the heart of Denver's sea of music venues, GroundSwell has been serving the music-savvy for years with quality cannabis products and a helpful, knowledgeable staff. GroundSwell is even running some enticing 4/20 deals this year to draw consumers though the door and ensure the biggest savings possible. So, stop by GroundSwell before your next musical adventure and tell them PotGuide sent you! The Green Solution is one of the most-awarded dispensaries in Colorado, with an impressive 12 locations. Their shop on Peoria is an impressive selection for recreational and medical customers. With close ties to musicians throughout the state (and country), TGS knows what they’re doing – from great bud to awesome budtenders, you won’t be disappointed. The Station boasts quality recreational and medical cannabis products. With an incredibly knowledgeable staff and a welcoming store ambiance, you’ll feel right at home the moment you walk in. Conveniently located along 28th Street, you’ll be in and out in no time before for your next show at The Fox and Boulder Theatre. Terrapin has five locations throughout the state (and a shop in Eugene, OR). They provide recreational and medical cannabis customers with the finest quality bud that’s grown using low-impact cultivation practices (that makes their cannabis extra green). Stop by to grab flower, edibles or their convenient, half-gram Terrapin packs. There are a number of cannabis-friendly hotels and private residences that allow consumption in and around Denver, CO. Remember that most places will only allow vaporization (vs. combustion), so make your purchases wisely. For a full list of available accommodations, click here. Denver has an incredible number of delicious restaurants for you to choose from. From sit-down dinners to grab-and-go bites. This centrally located restaurant is known for its “gastro-brothel” vibe with live music and eclectic American food. They’re owned and run by one of the most popular restaurant groups in town, so the food and ambiance won’t disappoint! Reservations are recommended. This thin-crust, Chicago-style pizza place offers a heated patio, affordable drinks and live music all year round. It’s a casual eatery and bar that’s sure to hit your late-night pizza cravings. Check out this premiere music venue in LoDo (lower downtown), only one block from Coors Field. The Summit offers great beer and bar food to make anyone happy. With five locations around Denver, you’ll find great food for a great price. Illegal Pete’s serves all-natural meats and organic ingredients and nothing is pre-made, which means the best bite in every mouthful.